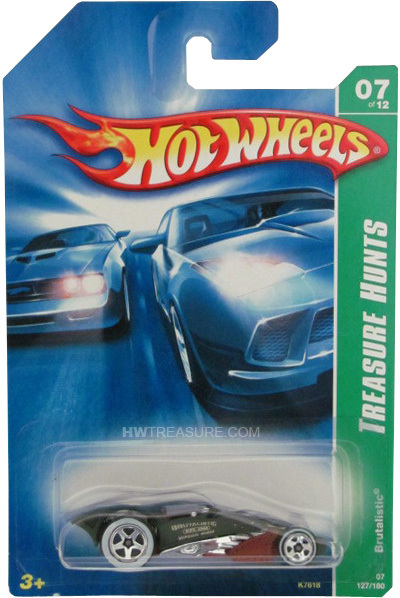 The 1995 through 2012 Treasure Hunts can be located by a green stripe with “Treasure Hunt” or “T-Hunt” on the packaging. 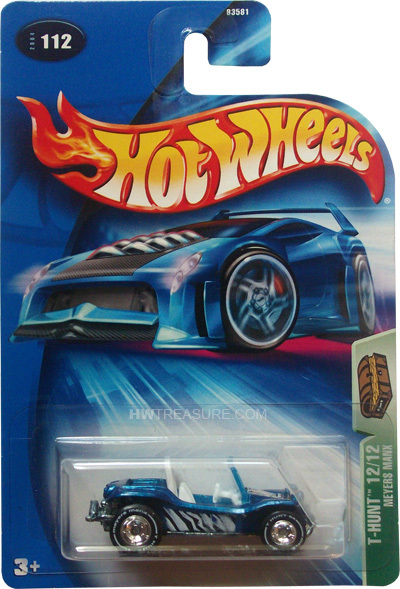 As of 2013, the packaging no longer reveals that a vehicle is a Treasure Hunt and the cars are seeded into other series like “HW Racing” and “HW Stunt”. To identify one you have to find the low production symbol on the vehicle. 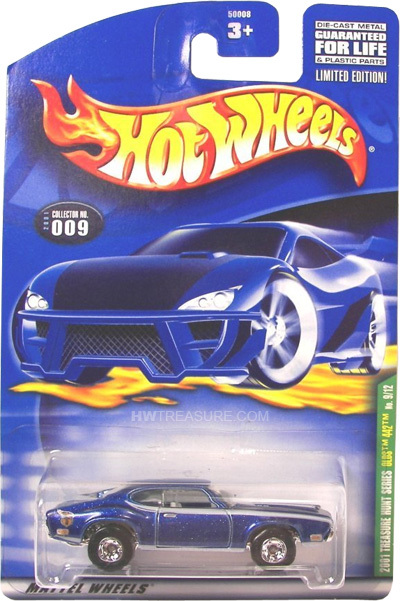 The 2007 through 2011 Supers are premium versions of regular T-Hunts and often have Spectraflame paint and Real Rider wheels. 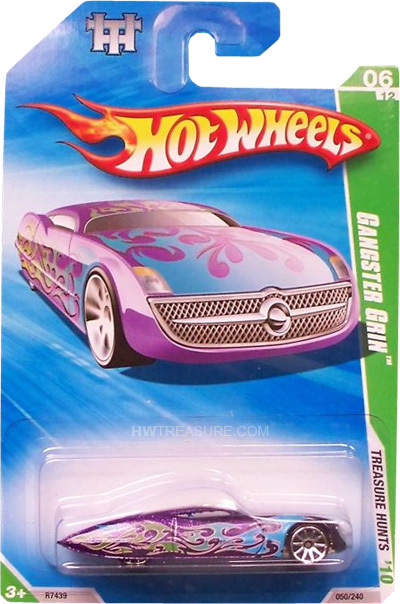 They can be identified by a green stripe with “Trea$ure Hunt$” or “T-Hunt$” on the packaging. 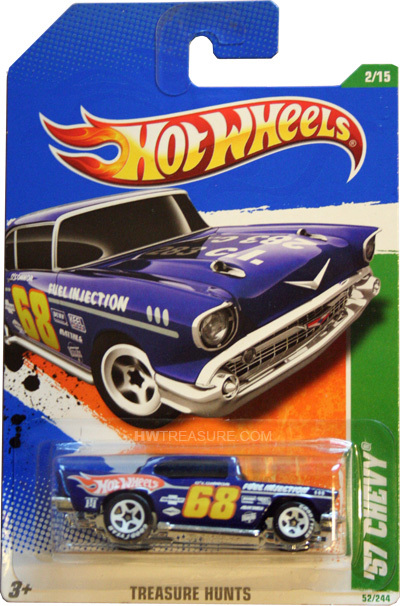 In 2012, Supers stopped being premium versions of regular T-Hunts and became Super Secret Treasure Hunts. 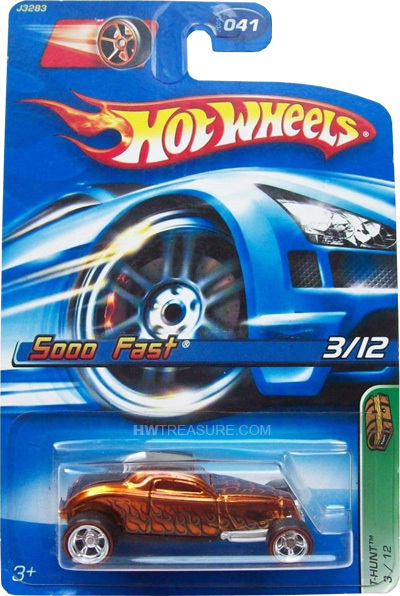 They are different cars, hidden in different series, and no longer have the green stripe on the packaging. 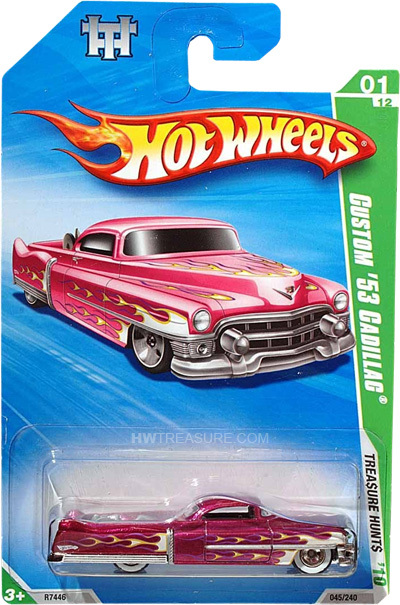 To identify one you have to find the premium paint and tires and a “TH” symbol on the vehicle. Look for “TREA$URE HUNT SERIES” in a horizontal green stripe above the blister and “LIMITED EDITION ONLY 10,000 PRODUCED” with a green background on the top left of the card. Look for “TREA$URE HUNT SERIES” in a horizontal green stripe above the blister and “LIMITED EDITION ONLY 25,000 PRODUCED” with a green background on the top left of the card. Find “TREA$URE HUNT SERIES” in a horizontal green stripe above the blister and “LIMITED EDITION!” with a green background on the top left of the card. 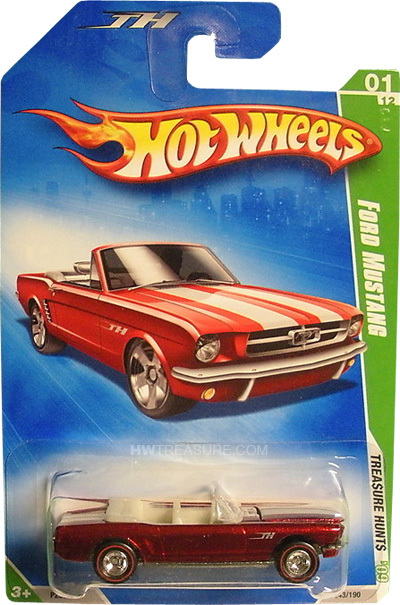 Look for a card with “TREA$URE HUNT SERIES” in a horizontal green stripe above a red stripe with “LIMITED EDITION!” and the vehicle’s name. 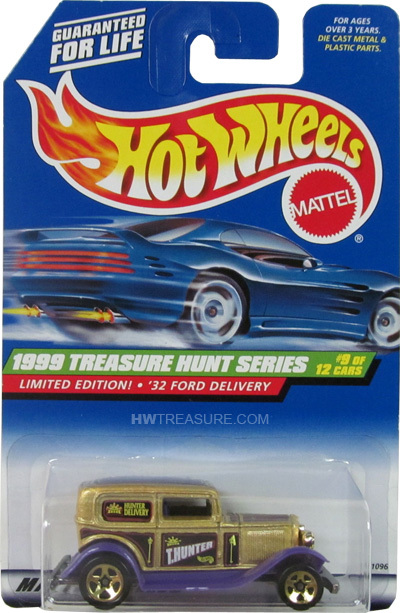 Find a card with “1999 TREASURE HUNT SERIES” on a horizontal green stripe above a red stripe with “LIMITED EDITION!” and the vehicle’s name. 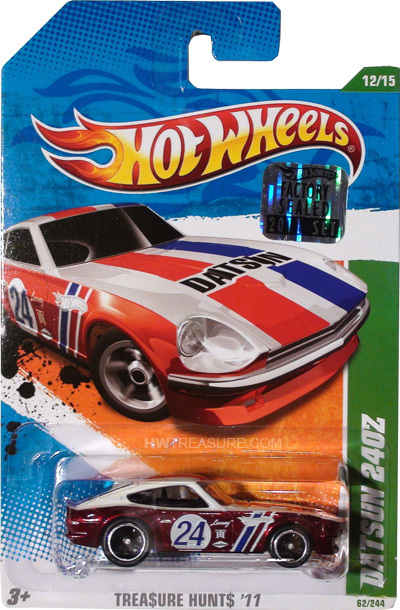 Look for a card with “2000 TREASURE HUNT SERIES” on a horizontal green stripe above a red stripe with the vehicle’s name and sometimes “LIMITED EDITION”. 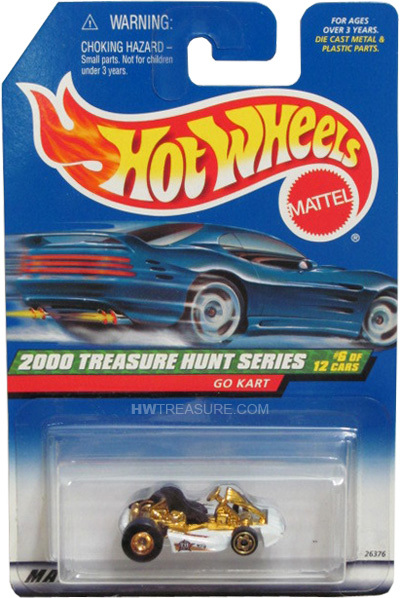 Find “2001 TREASURE HUNT SERIES” and the vehicle’s name in a vertical green stripe on the right side of the card by the blister. 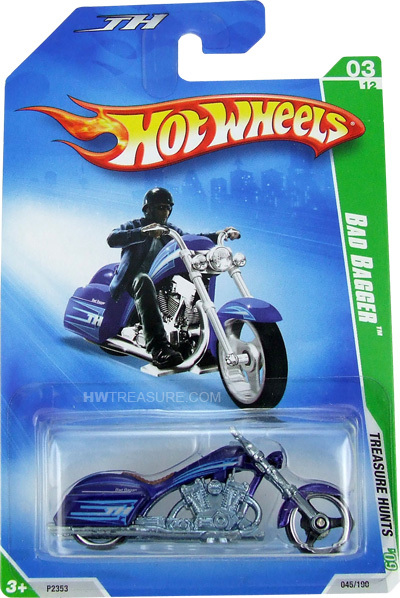 On the right side of the card by the blister, look for the vehicle’s name in a vertical green stripe and an image of a treasure chest. 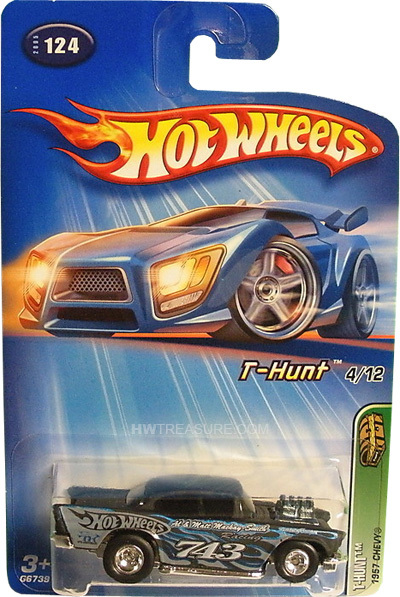 On the right side of the card by the blister, there is “T-HUNT”, the vehicle’s name, and an image of a treasure chest in a vertical green stripe. 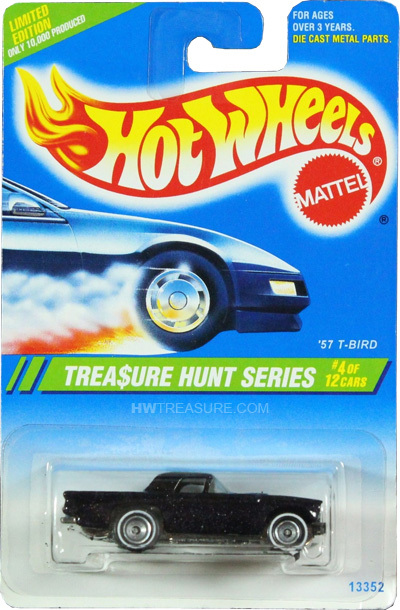 To the right of the blister, there is “T-HUNT”, the vehicle’s name, and an image of a treasure chest in a vertical green stripe. To the right of the blister, there is “T-HUNT” and an image of a treasure chest in a vertical green stripe. 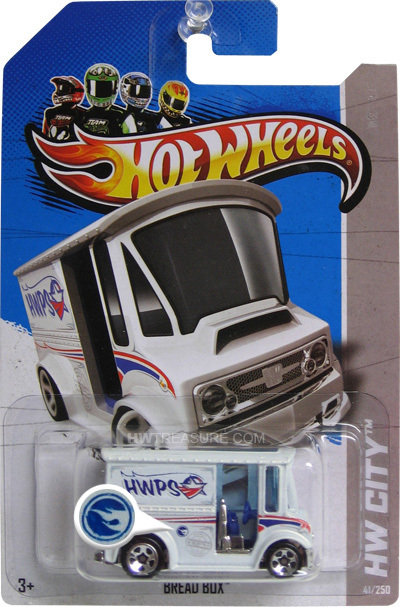 Dairy Delivery, the 12th vehicle of the set, may have a card like the 2007 Treasure Hunts. 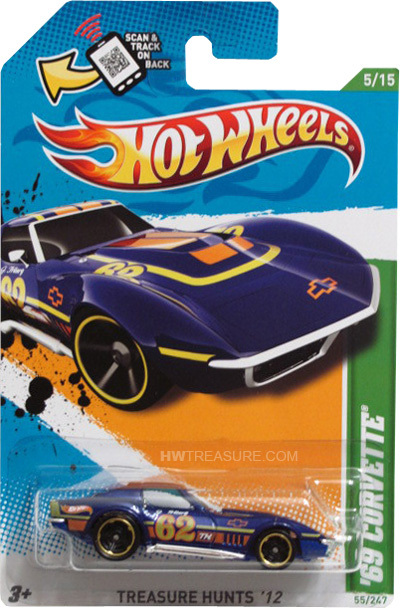 Look for a vertical green stripe on the right side of the card with “TREASURE HUNTS” or “T-HUNT” and the vehicle’s name in smaller text. Look for a vertical green stripe on the right side of the card with “TREA$URE HUNT$” and the vehicle’s name in smaller text. Look for a vertical green stripe on the right side of the card with “TREASURE HUNTS” and the vehicle’s name in smaller text. 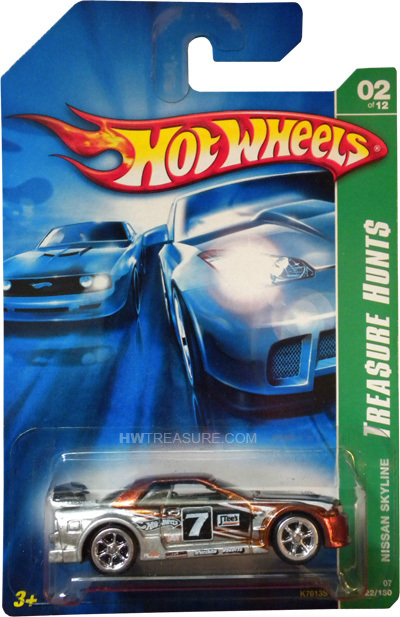 The card has a vertical green stripe with the vehicle’s name and a small white stripe with “TREASURE HUNTS ’09”. At the top by the hook is a “TH” symbol. 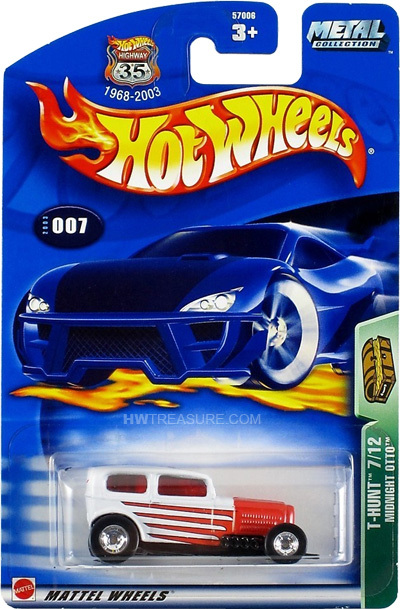 The card has a vertical green stripe with the vehicle’s name and a small white stripe with “TREA$URE HUNT$ ’09”. At the top by the hook is a “TH” symbol. 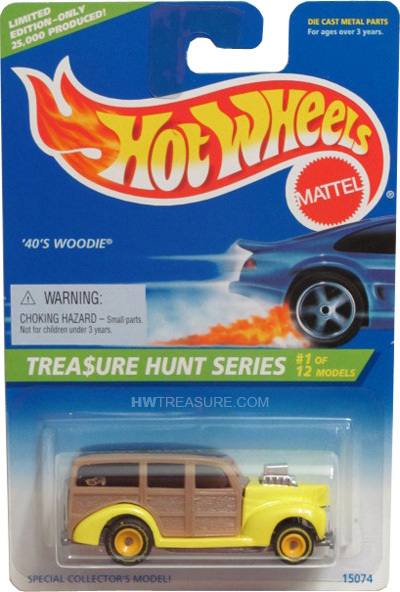 The card has a vertical green stripe with the vehicle’s name and a smaller white stripe with “TREASURE HUNTS ’10”. At the top by the hook is a “TH” symbol. The card has a vertical green stripe with the vehicle’s name and a smaller white stripe with “TREA$URE HUNT$ ’10”. At the top by the hook is a “TH” symbol. 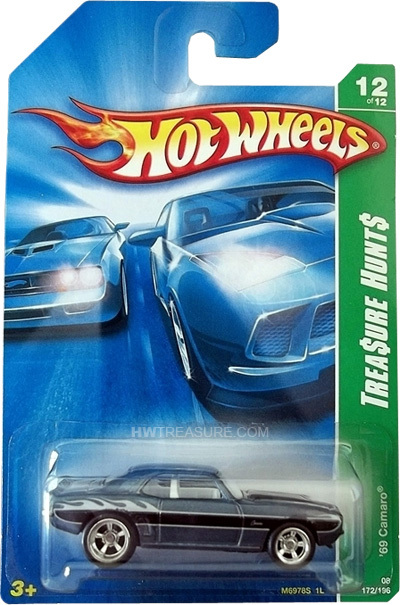 The card has a vertical green stripe with the vehicle’s name and under the blister is “TREASURE HUNTS” or “TREASURE HUNTS ’11”. 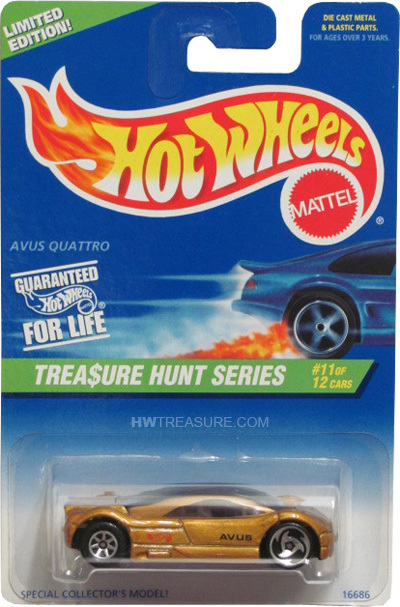 The card has a vertical green stripe with the vehicle’s name and under the blister is “TREA$URE HUNT$” or “TREA$URE HUNT$ ’11”. 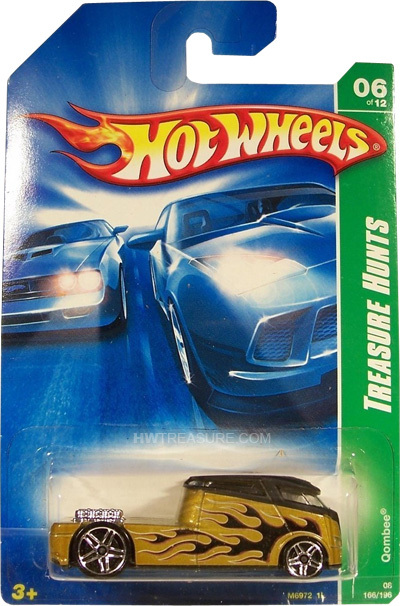 The card has a vertical green stripe with the vehicle’s name and under the blister is “TREASURE HUNTS ’12”. 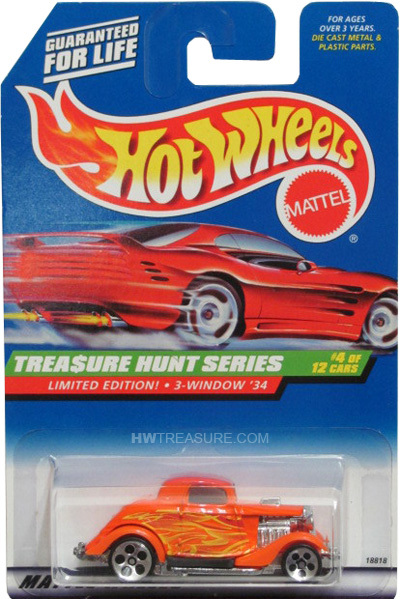 The card does not reveal that a vehicle is a Super Treasure Hunt. 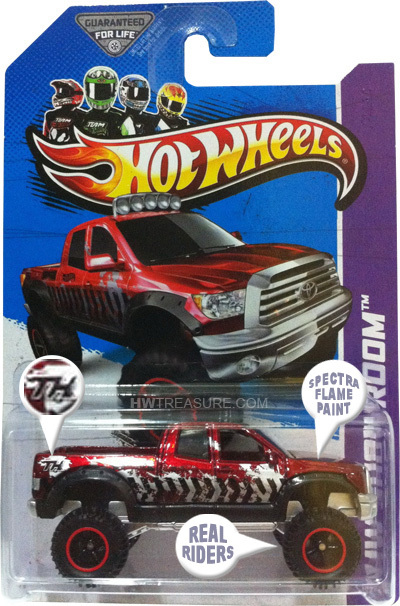 Look for the “TH” symbol, Real Rider wheels, and Spectraflame paint. Look for the low production symbol somewhere on the vehicle. 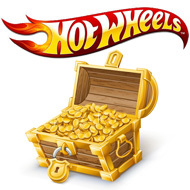 The card may have a low production symbol behind the vehicle or have nothing to reveal that a car is a Treasure Hunt. 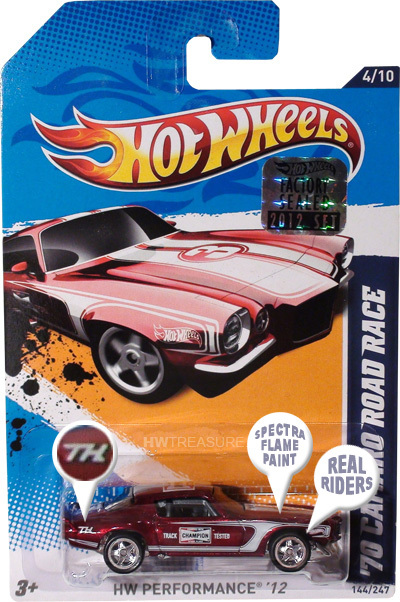 Look for the “TH” symbol, Real Rider wheels, and Spectraflame paint. 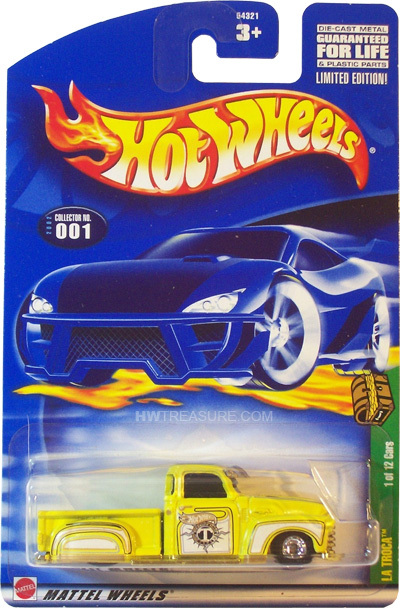 The card may have a low production symbol behind the vehicle or have nothing to reveal that a car is a Treasure Hunt.